Skyrim has been out for a few months now and the internet is still talking about it (which is like an eternity in internet time!). Heck, you may have noticed that the frequency of posts appearing on this blog has decreased and I blame Skyrim for this. Anyway, I’m playing Skyrim on the PC and the stock UI is totally ridiculous because it’s clearly not designed for a keyboard and mouse. Bethesda clearly decided that they should make only one way to interact with the inventory and levelling system and that’s through a controller. I’m sure the UI is good on consoles, but the PC version is pathetic. I’ll let Rock Paper Shotgun and Armed Gamer elaborate on the bad UI. Luckily the mod community around Skyrim has created SkyUI! SkyUI improves the UI for PC players by adding basic things like searching and listing inventory items based on value, stolen, weight, etc. It has turned a frustrating part of the game into something I no longer think about, which is a good thing. If you play Skyrim on the PC then you need to go get SkyUI now. 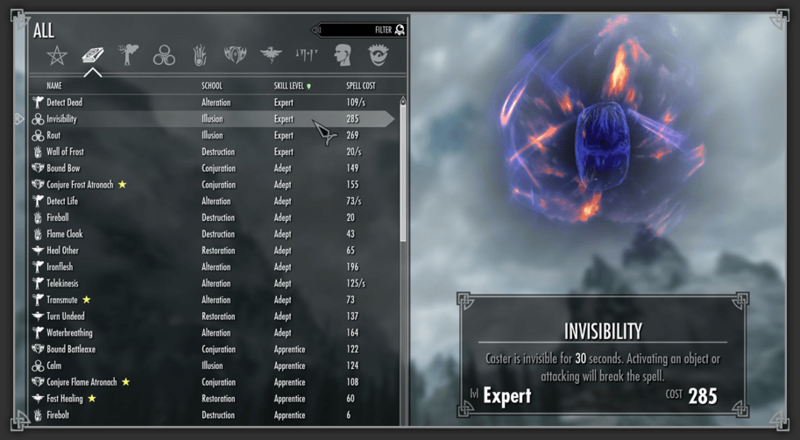 I’ll leave it to Gamasutra to add even more issues with the UI in Skyrim.